Podcasts are all the rage right now. Sure, they’ve been around for roughly 10 years, but in the last three years or so, they’ve really taken off with 50% of households reporting that they are “podcast fans” at the end of 2017. Podcasts have become a prominent medium for experts, fans and enthusiasts of all kinds to come together and share opinions, conduct interviews and take deep dives into topics across all industries. Similarly, topic-specific radio shows are a great way to drive awareness among target audiences. Understanding them can take time, as the lines between these shows and podcasts are often blurry, i.e. 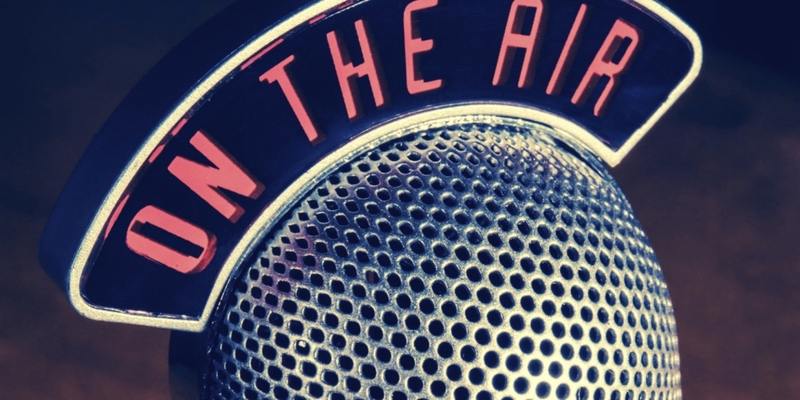 a program that airs live on the radio might also be posted online as a podcast series. As more niche programs are launched and gain momentum, they are a great outlet to explore to establish yourself and your company as thought-leaders in a particular industry. Unlike an interview that will be transcribed and quoted in a written article, in a podcast, the spokesperson’s voice is heard by the audience. This may seem like a rather obvious fact, but it should be noted to emphasize how important it is for your spokesperson to be comfortable with public speaking. Even if the podcast or radio show is being pre-recorded to air later, it will still be their voice that listeners and subscribers hear. Guests with a dynamic attitude and captivating tone can go a long way. Not only does this keep up the energy level for the host conducting the interview, listeners will pick up on their passion and expertise and be more likely to research your client and their organization after hearing the interview. Most Marketing and PR professionals can likely can think of some client spokespeople right off the top of their head who fit into the category of a dynamic interviewee. Once you have an idea of who will do the talking for a possible podcast or radio interview, you need to figure out what they will be talking about. When it comes to these shows, even those that are focused on a particular industry, the broader your spokesperson’s knowledge base is, the better. While it’s great that they can talk in-depth about their company and any current announcements or initiatives, it’s likely that the host or producer of the show won’t bite on an idea that seems too promotional or self-serving. A wider knowledge of the industry or ability to comment as an expert on a current trend is incredibly helpful. It’s good to always keep an eye and ear out for any breaking trends within the industry and discuss internally to see whether or not it’s something your company is able to offer commentary on. An expert opinion or hot take on something newsworthy can often be your foot in the door! I know I began this post by saying that podcasts are everywhere, and this is still true! However, not every one of the many shows out there will be a fit for your spokesperson’s expertise. If you are dealing with a particularly niche subject matter or industry, finding the premier, most-trusted programs will require a little research. As I mentioned before, having an expert that can comment on broader issues, even if they aren’t directly related to your company’s current initiatives, goes a long way. Let’s say your company works in veterinary oncology, can they also talk about other veterinary topics? What about general animal health or tips for pet owners? The more topics they are comfortable with, the more options you have when it comes to shows to reach out to. Start with a simple Google search. Begin with the most specific, niche search terms your corporate leadership can speak on to see what’s available. Once you’ve explored those results and flagged any relevant targets, widen the topic and repeat the process until you’ve gotten to the broadest subject matter your expert is able to discuss. Be sure to thoroughly vet the targets you find, as you don’t want to waste time reaching out to a program that hasn’t posted a new episode in two years! Another place to look is social media. Check in on relevant hashtags for the client’s particular industry to see if anyone is talking about a popular podcast or radio program. Follow industry reporters and other thought-leaders on Twitter and LinkedIn. You never know when they might drop a reference to a new podcast or show that would be a fit. Once you have a solid list of podcasts that you believe would be a good fit for your spokesperson, it’s time to focus on approach. You want to make an introduction as personal as possible, so the host or producer clearly understands why your spokesperson belongs on the show as a guest. After justifying your reasoning for reaching out, share a bit on the expert and why they’re uniquely qualified to be a guest. When pitching media around a trend, any specific expertise you can offer that will set them apart is crucial. When pitching a more general introduction, highlight a unique perspective they might have that would make for a good discussion on an upcoming episode. Like with any pitch, try to keep it brief and put all your important info upfront, you only have a few precious moments to capture the target’s attention. Podcasts and radio programs are great tools for tapping into niche audiences and building your corporate reputation as an authority on a particular subject matter. As PR and Marketing professionals, the process of researching and pitching these types of programs needs to be approached a little differently than other media relations outreach. However, by developing a keen understanding of your company’s knowledge base, keeping an eye out for industry trends and news and a solid introduction, you can lock down a great interview opportunity that will likely lead to more as your organization becomes a well-known voice in the industry! 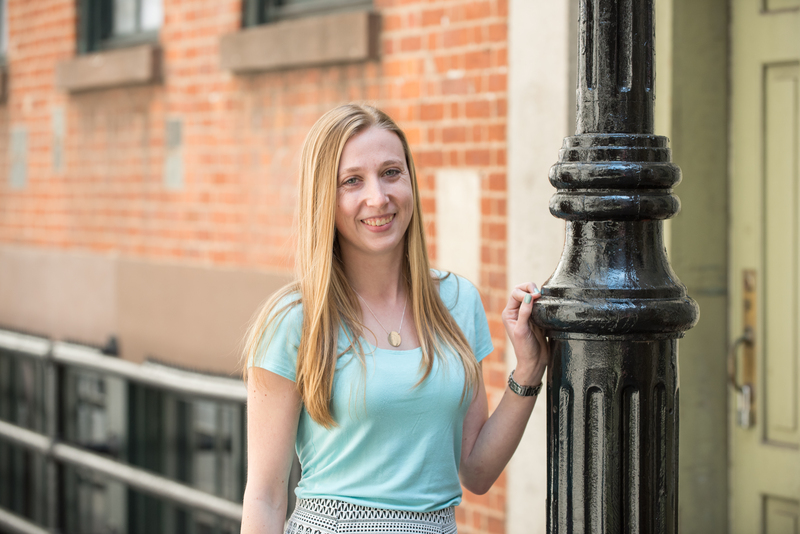 Erin is an Account Manager at FischTank, working with clients across a variety of industries including renewable energy, healthcare and marketing technologies. Erin also has experience executing media relations and marketing campaigns on behalf of non-profit organizations. Erin grew up in Wayne, Pennsylvania and graduated from Hofstra University on Long Island. She enjoys corgis, Peanut M&Ms and classic rock. Secret to media relations success? Relationships.